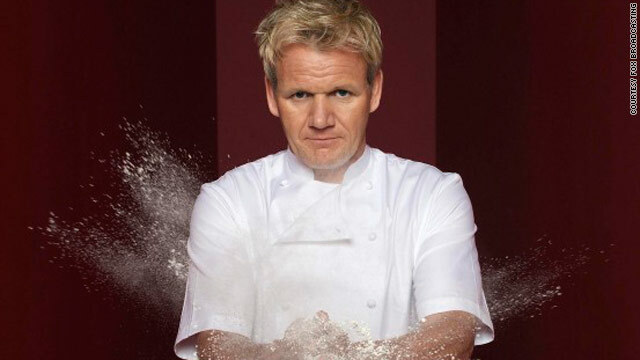 "Gordon Ramsay: Cookalong Live" airs December 15 on Fox. (CNN) -- The holidays are a grim time for television fans as popular primetime shows begin airing re-runs through the New Year. "Mad Men," "The Amazing Race," and "Entourage" are all done for the season and this year insult has been added to injury with Fox's break-through musical comedy "Glee" going on hiatus until April. But viewers aren't necessarily stuck watching Lifetime original holiday movies, re-runs and parades. There is plenty of good television still out there if you know where to find it. Overlooked workplace comedy "Better Off Ted," returns to ABC this week. The satirical sitcom stars Jay Harrington and Portia de Rossi as employees at technology company Veridian Dynamics where they have to invent such things as "cow-less meat." "People who still complain about 'Arrested Development' being canceled will like it," said New York Daily News television critic, Cristina Kinon. HBO's "True Blood" may be off the air, but folks craving some undead programming can catch up on the CW network's freshman series, "The Vampire Diaries," with a marathon of the first ten episodes starting on December 14. For five days, the CW will air two episodes every night during primetime. For men of a certain age and the women who still love them, "Men of a Certain Age," starring Ray Romano, Andre Braugher and Scott Bakula kicked off this week. The first episode of the male midlife crisis drama, airing on CNN sister network TNT, ran on Tuesday and definitely fills a hole in programming for middle aged men looking for relatable, if not necessarily aspirational, characters on television. With the Las Vegas season of "Top Chef," winding down, cooking show junkies should tune into "Gordon Ramsay: Cookalong Live" airing Dec. 15 on Fox, during which viewers can attempt to follow along with Ramsay's three-course meal preparation. "Because Ramsay can't see you overcook the pasta appetizer you don't have to worry about him cursing you out like he does in 'Hell's Kitchen,' It's really a win-win kitchen situation," Kinon said. Reality television junkies who have been missing "Jon and Kate Plus Eight" on TLC can tune into MTV's "The Real World: DC," the 23rd cycle of the show, which begins on Dec. 30 and features eight strangers living in a mansion in the capital's Dupont Circle. For those more interested in a heady dose of solemnity with their reality programming, A&E offers a portal into the lives of folks battling two very different kinds of addictions. "Christmas time is the best time to escape Christmas programming, which is why folks should stock up their DVRs with A&E's "Hoarders," said Ronnie Karam, the senior editor of the television blog TvGasm.com. Are you watching these shows? Which ones did we leave off? A&E just started the second season of "Hoarders," a documentary style reality show that exposes the inner lives and overflowing homes of packrats and the eight of "Intervention," which follows individuals struggling with drug abuse. And for "Glee" fans desperate for that musical fix. NBC will debut the Nick Lachey hosted a cappella singing competition "Sing Off," a four-night event starting on Dec. 14. Celebrity judges set to critique the singing groups with their expertise are Ben Folds of Ben Folds Five, Shawn Stockman of Boyz II Men and Nicole Scherzinger of The Pussycat Dolls. Eight a cappella groups are set to compete for the $100,000 prize and an Epic Records/Sony recording contract.